We bought Fairoaks Mermaid 4 as a pedigree Berkshire sow in gilt. The sellers, the Bignells, told us her possible farrowing date was May 26. 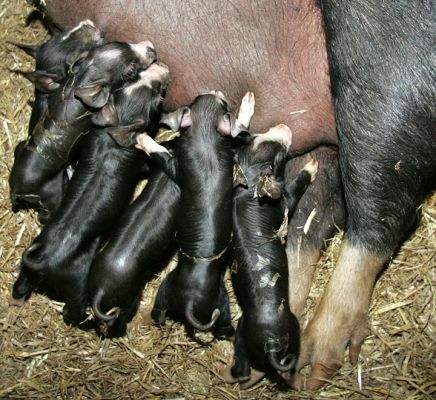 On the appointed date, along came the piglets. This photograph was taken just after they were born.